Welcome to the Cardiff Gravitational Physics tutorial pages. We have put together a few pages describing our research into black holes and gravitational waves. We hope you enjoy them. Also, why not try searching for gravitational waves with our game Black Hole Hunter. A brief introduction to black holes and gravitational waves, with a discussion of the effects of gravitational waves as well as the Hulse-Taylor pulsar – the most famous source of gravitational waves. Very massive and fast moving systems will give off gravitational waves. By observing the gravitational wave signal from these systems we will learn more about the universe around us. A network of gravitational wave detectors has been built around the world. 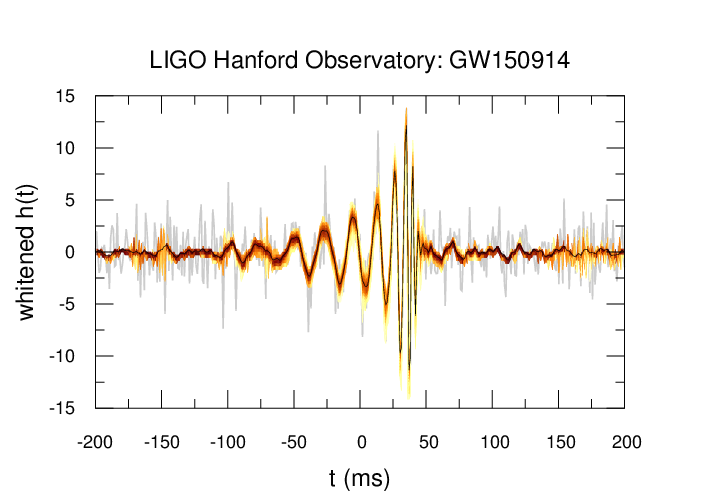 The goal is the first direct detection of gravitational waves. There is also a space based detector planned. 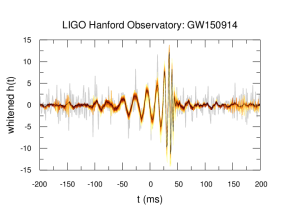 Even in the very sensitive gravitational wave detectors, the signal we are looking for is very weak. Many sophisticated methods have been developed to enable us to differentiate a gravitational wave signal from the background noise.